March 2016 – Grab a cuppa, tell a story or listen to one. I am itching to write something. I have not written anything in a long while. But I don’t know what to write. It is just a longing that comes from within, without an agenda associated to it. So I stare at the blank screen for some indefinite time and then type these few lines in a jiffy. What if they were to vanish too ? Nah! It’s not the writer’s block. I have enough stories to tell. I just do not know how to put words to most of them. I do not know if I know how to tell them. 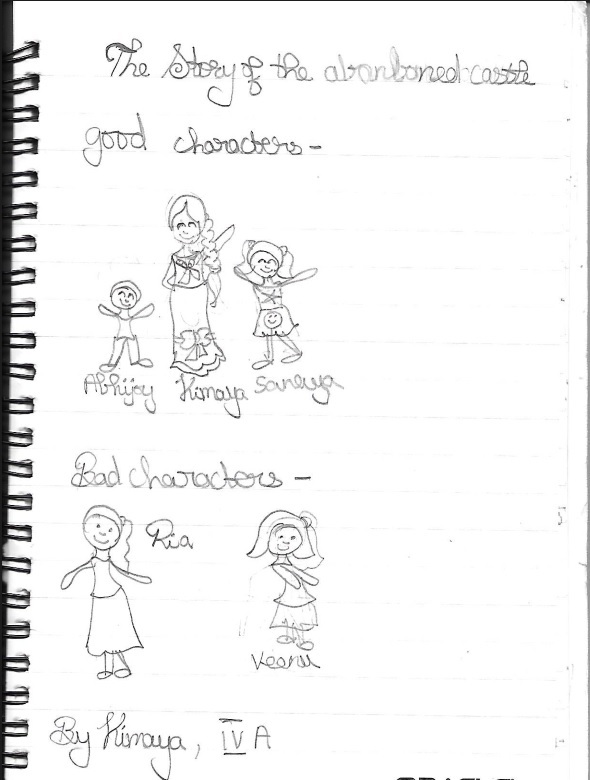 Written & Illustrated By : Kimaya Kaviraj, age 9. Dancer, storyteller, artist. These are the things they packed. In a purple bag, Kimaya hanged an Elsa key ring and packed 7 frocks, a writing book, pencil, eraser, sharpner, lots of food and water.